When you are injured in a car accident, the last thing you need is to worry about is how you are going to pay for medical care.If you need immediate assistance sifting through the complicated world of insurance coverage after a vehicle collision involving injuries, contact insurance car accident lawyer David Azizi at 800-991-5292 for a free review of your important case. He provides compassionate service and offers a free, no-obligation case review. Don’t hesitate, call as soon after an accident as you can to eliminate problems associated with disappearing evidence and loss of witness testimony. As everyone knows, even a short stay in the hospital can cost thousands of dollars. Generally, the at-fault driver’s automobile insurance will cover the cost. However, there are times when this payment is delayed until the claim or lawsuit is resolved, or in some cases the at-fault driver does not have adequate coverage. Under these circumstances, the injured party can use their own health insurance or other options. There are multiple options for payment of medical treatment if you are injured in a California car accident. Doing research when you are injured may be a complex and challenging endeavor. Turning to an experienced car accident lawyer who has worked in the insurance industry and has spent his career helping clients is an excellent way to get the help you need. 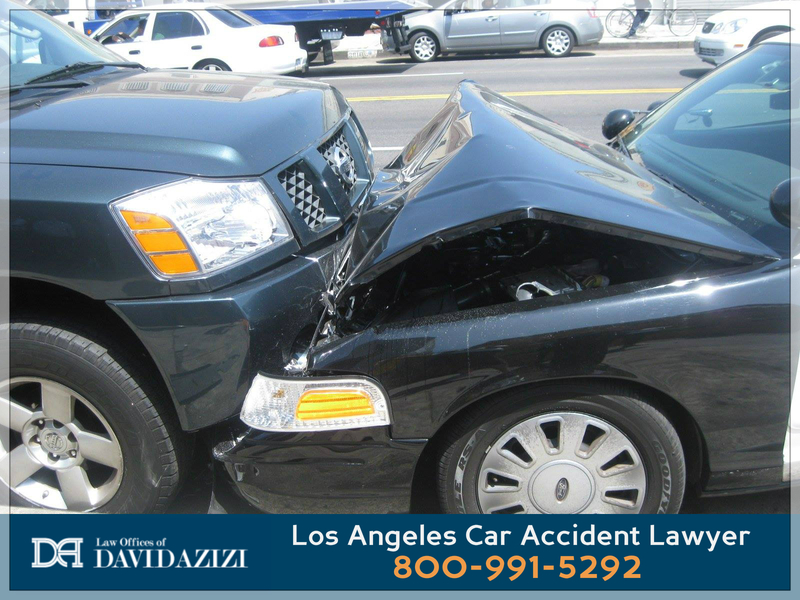 David Azizi has practiced personal injury law for 21 years, and at the outset, worked in the insurance industry. As a lawyer, he has helped numerous Los Angeles residents achieve the compensation they deserve to avoid going into debt trying to pay for medical care. In fact, David is so adept at his profession that Expertise.com called him one of the top personal injury lawyers in the Los Angeles area. In an accident, the at-fault driver’s car insurance is expected to pay for injuries to other individuals involved in the accident. Drivers in California are obligated to have liability insurance, which covers the injured driver’s medical treatment up to the maximum of the at-fault driver’s insurance policy. Sometimes, the cost of medical treatment can exceed the policy limit. When this happens, a portion of the medical bills may go unpaid. 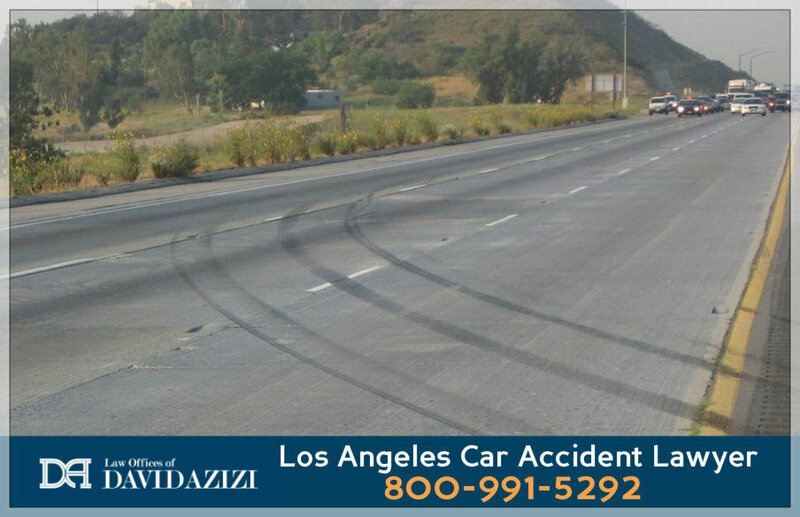 Things You Should Not Do After a Car Accident in Los Angeles, California"Law Offices of David Azizi - 1-800-991-5292 For more information on Los Angeles car accidents use this resource: http://www.davidazizipersonalinjury.com/car-accident-information/ After being in a car accident many people are traumatized and do not know how to react. They may end up getting out of their car in traffic or getting mad and starting an argument with others. In this video, David Azizi explains what you should not do. Here is more information about contacting David Azizi: http://www.quora.com/David-Azizi/Posts/Angeles-Car-Accident-Lawyer-Offers-Video-Help"
One way to pay for medical treatment after an accident is to use your own health care insurance. Health care insurance companies such as Kaiser Permanente and Medi-Cal are obligated to pay for medical care when you are sick or injured under their contractual arrangement with you. This is their part of the contractual agreement you make with them. However, if your health insurance pays for medical treatment due to the accident, they will desire to be reimbursed when the accident claim is resolved if a claim or lawsuit is filed. You will be required to pay the deductible, however. This can be reimbursed when the issue is resolved with the at-fault driver or their insurance company. Your car accident attorney will make sure that this is included in the settlement or lawsuit. Generally, after the at-fault driver’s insurance has reached the limits of their policy, the remainder of the medical costs will be billed to the non-negligent driver’s health insurance. 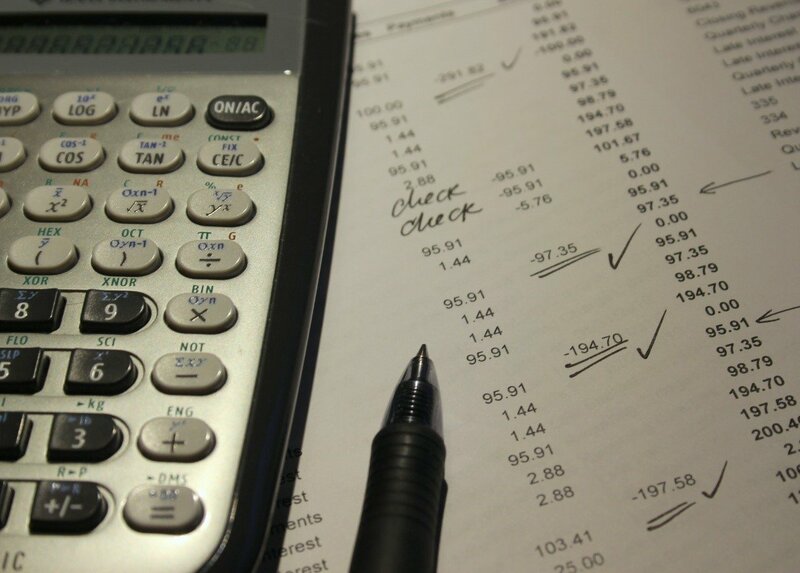 This can be reimbursed by the at-fault driver in a settlement or a lawsuit verdict. Another way to pay for medical care after an accident is by using Medical Payments Coverage or Med Pay. This is an option drivers are offered when they obtain auto insurance in California. It is not mandatory that drivers obtain it, and it does not cover occupants of other vehicles. Unlike your health insurance, it does not have a deductible. Med Pay covers you whether you were to blame for the accident or not, and it covers not just the driver and their family but also pays for any other passengers injured in the same vehicle as well as funeral expenses. Med Pay gives you a backup plan if health insurance is denied or partially covers the payments or if the at-fault driver’s auto coverage limit is met before treatment is finished. The lowest amount you can purchase for Med Pay is $1,000 for every person in your vehicle who is injured. Higher coverage can be bought. In addition, Med Pay begins to pay for medical care right away. Since insurance claims and lawsuits can take time to be resolved, it is important to have instant coverage. Many motorists in California lack automobile insurance or are underinsured. If this happens, the injured driver may be covered if they have uninsured/underinsured motorist insurance. This is an option you pay for when you purchase auto insurance. It is not mandatory, but your insurance company must offer it to you. If you decide against it, you will need to sign a waiver. However, if you carry uninsured/underinsured motorist protection, it will pay for your injuries if the at-fault driver does not have insurance. The limits are the same as your liability insurance. Uninsured/underinsured motorist protection covers you and your passengers. If you file a claim or lawsuit against an at-fault driver, the hospital and other medical providers may be willing to wait to be paid. The payment for medical care is now contingent on winning your lawsuit or settling the claim with your insurance company. Since medical treatment after an accident can be expensive, the providers such as the hospital or doctors will place a lien against the damages you will receive in your personal injury case for medical treatment. You will be asked to sign off on this. In some cases, the providers will request that the injured party’s attorney also sign the lien. Your attorney may agree to do this to assure the providers that the funds will be kept in trust to pay the medical bills after the case is resolved. If the case is not resolved in your favor, you will still be legally obligated to pay the lien. Subrogation is a legal doctrine that allows one entity to pay the bill owed by another party and then collects the funds from the entity that is responsible for the debt. For instance, if Med Pay or a private health insurer pays for the medical care a person receives, by subrogation, they will be able to collect the monies from the at-fault driver’s insurance company. This process usually occurs between insurance companies. If the insurance company that paid out the funds for medical care decides to pursue subrogation, they will try to recover the money you, as the insured, paid in deductibles. Some insurers may try to avoid subrogation by putting a waiver of subrogation into the settlement document you sign at the end of the case. If you sign this, your health insurance carrier or Med Pay will not be able to collect the funds they are owed. Consulting with your car accident attorney before signing any paperwork is always a good idea. This doctrine says that before reimbursement or subrogation is allowed, the injured party must be made whole or treated successfully for their injuries. In California, this precludes the insurer from being reimbursed until the person has been made whole. In the event the person cannot be made whole, the insurer may agree not to be reimbursed. The made whole doctrine also covers Med Pay and has since 2005. Some Med Pay policies have the right to be reimbursed while others do not. When the case it resolved, it is difficult to negotiate with medical providers such as doctors and hospitals. It is a good idea to pay the providers out of Med Pay or private insurance if it is available. When the funds are available at the end of the case, there may be room to negotiate with the insurance company. If your Med Pay policy does not have the right to be reimbursed, that will increase the settlement that you receive. What Happens If the Injured Party Does Not Have Health Insurance? In some cases, the injured party does not have Med Pay or private or government health care. While waiting for the case to be settled, it may be necessary to pay out-of-pocket for medical care after the accident. Just as when an injured driver uses their own health insurance, an injured individual who pays for their medical care will receive reimbursement when the case settles. Some people lack health insurance and cannot afford to pay out-of-pocket. This puts them at a big disadvantage when they are hurt. In such cases, it may be possible to work out a plan with the hospital and doctor. In this case, both agree to wait until the case is settled to get paid. However, if a lawsuit or the insurance company does not provide payment for the at-fault driver’s negligence, the injured person is responsible for paying the medical care expenses. In some cases, liability is divided between the drivers. Let’s say that driver number one slammed into a vehicle directly in front, causing the driver in the lead vehicle to suffer a soft tissue injury or whiplash. However, the lead vehicle did not have working brake lights that would have signaled he or she was stopping. The liability for the accident is now divided. For instance, the lead vehicle may be 40 percent responsible for the accident while the driver to the rear is 60 percent liable. This means if the driver in the rear has $100,000 in medical debt and lost wages, he or she will be able to collect 40 percent of the cost or $40,000. The driver in front will be able to collect 60 percent of accident-related expenses. This is called comparative fault and is the law in California. In addition, a dispute may arise between the injured driver and the at-fault driver’s insurance company as to who was liable for the accident. The insurance companies will investigate the accident to determine liability as will the plaintiff’s attorney. Your lawyer may use experts in accident reconstruction to piece together how the accident happened and who was at fault. The expert team can use information from the scene of the accident such as roadway marks, called skid marks, that show if the vehicles braked before the crash trying to avoid a collision. Other information is gleaned from computer-driven images. This is an important aspect of a personal injury case since without proving negligence the case will falter. An attorney will be able to negotiate with the insurance company to ensure the injured individual is compensated properly. However, the insurance company may not be willing to negotiate fairly. If this happens, the car accident lawyer can take the case to court, filing a lawsuit against the insurance company or the at-fault party. When you are injured in a car accident, you can’t go it alone without sacrificing your personal and financial health even more. Insurance options are complex and can be confusing. You need the guidance and help David Azizi provides to all his clients. He has been fighting insurance companies and filing lawsuits against negligent drivers for 21 years. No one does it better. Give David a call at 800-991-5292, and he will review your case for free. He’ll help you choose the right option to pay for medical care, and make sure the at-fault driver or their insurance covers every cent. David is there for you; reach out to him and get the help you need.